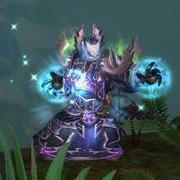 This thread is for comments about our Shadow Priest guide. In the enchants section, shield item should be removed? Thanks, I fixed it! Replaced "Shield" with "Off-Hand". I believe Enchant Boots - Surefooted is significantly better than Enchant Boots - Greater Haste. I believe that this should not be so. We'll put it in the guide if Blizzard leaves it in. Thanks! Hey, nice guide but I have one question I'm having a hard time getting answers for. Does Mind Flay (and maybe Mind Sear too?) count as a dot or direct damage? Because as you know they removed snapshotting from SW:P and VT so I wonder if this applies to MF too? So basically I wonder if MF benefit from your stats at the start of the cast or if MF, just like SW:P and VT changes when your stats do? It should be noted, because of the glyph choices you present for shadow, that Prayer of Mending pops you out of shadow form (at least at this time it does). Thanks for the suggestion, I've added these mentions! Hi, I've a question about the flasks. http://beta.wowdb.com/items/76085-flask-of-the-warm-sun gives 114 Int and http://beta.wowdb.com/items/58086-flask-of-the-draconic-mind gives 119 Int. They both give me +125 Int under Attributes, is there a difference or can you use the cheaper Draconic-flask? You can definitely switch to the cheaper one. Hi huys, anyone can tell me what is new haste caps? isent mastery more viable now that it got buffed? It might be more viable (than before), but you are still good to go with using the stats we have in the guide right now. I'm confused by the guide, on the rotation it says "
Cast Mind Blast if you have fewer than 5 Shadow Orbs." I thought that the max for orbs is 3? Oh OK thank you, I must have missed reading that when I looked over the notes, that explains why I didn't have that ability at 90. Thanks!!! Is Insanity still bugged so it scales down with Haste? This isn't a bug, this is a design change on how often Insanity is available. This makes insanity insane on bosses that give a casting speed debuff, use it as the debuff is about to end and you get insanity for a longer time depending on how powerful the debuff is. I think I had it for 20+ seconds without realising until it happened. If you have a haste debuff (such as the one from Heigan the Unclean) when yo cast Devouring Plague your insanity will have a ridiculously long duration. So if you cast it as the debuff is about to end you can have 20+ seconds of insane Mind Flays. The main reason is because you should very rarely have to cast Power Word: Shield on yourself in a raid, basically. It is the job of the healers to keep you alive, and your job is to DPS. If you are using a global cooldown every time for PW:S, you are missing out on a lot of DPS. For those few times of super intense damage that you just have to shield yourself, it's not worth the glyph spot. And it doesn't always work, either. Shadow Priest DoT Timer to work..
i cant find it for 6.0.3?